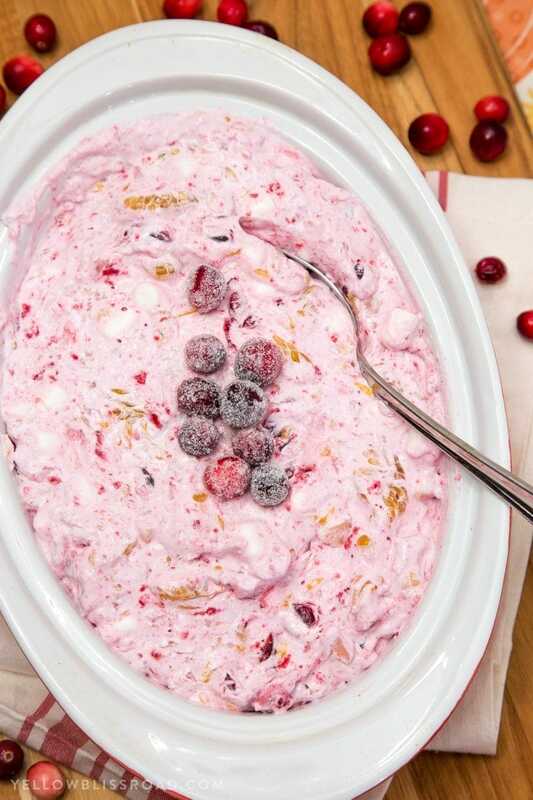 This Cranberry Fluff Salad is the perfect combination of creamy, sweet and tart. 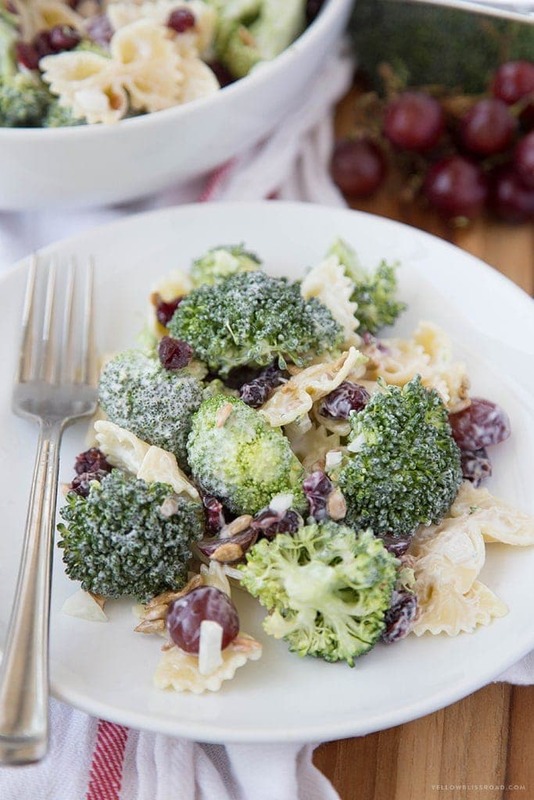 It makes a great side dish or dessert for the holidays! This post is brought to you by Anolon. This recipe and all opinions are my own. We celebrated Thanksgiving a few days late this year. Not on purpose really; we had planned to go on a cruise and celebrate Thanksgiving on board with a lovely Thanksgiving dinner prepared by world-class chefs. However that dream was shattered when my son got the flu on Thanksgiving Day. Well that’s not the only thing that shattered the dream. We were cruising on Norwegian and they have “freestyle” dining, meaning you can choose the restaurant (there are 3 plus a buffet) you want to dine at. Well this wasn’t a problem except on Thanksgiving when we went to dinner only to find that the wait at the two traditional restaurants was at least an hour. No wait at the Chinese place though! So fried rice and egg drop soup it was. We returned home hungry for turkey and stuffing so we decided to make a full blown Thanksgiving dinner with all the fixings, including Broccoli Casserole and Skillet Rolls. It was delicious! 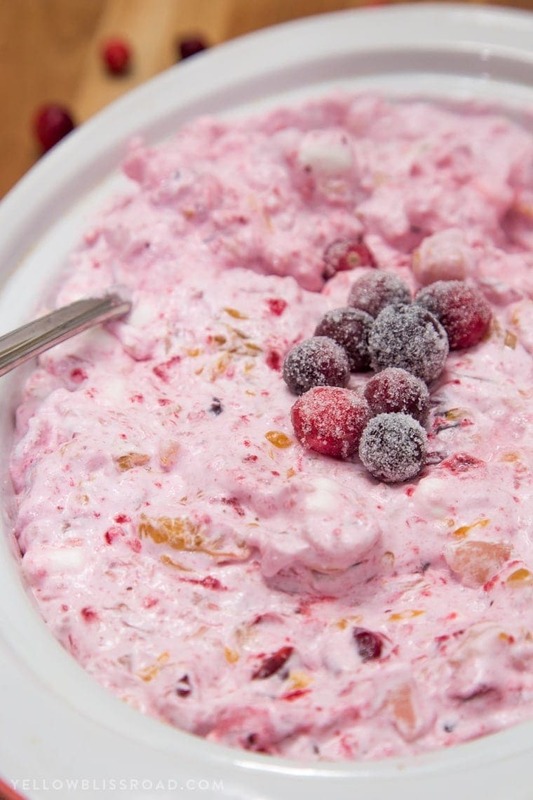 I also wanted to try this Cranberry Fluff recipe that had been swimming around in my head for days. 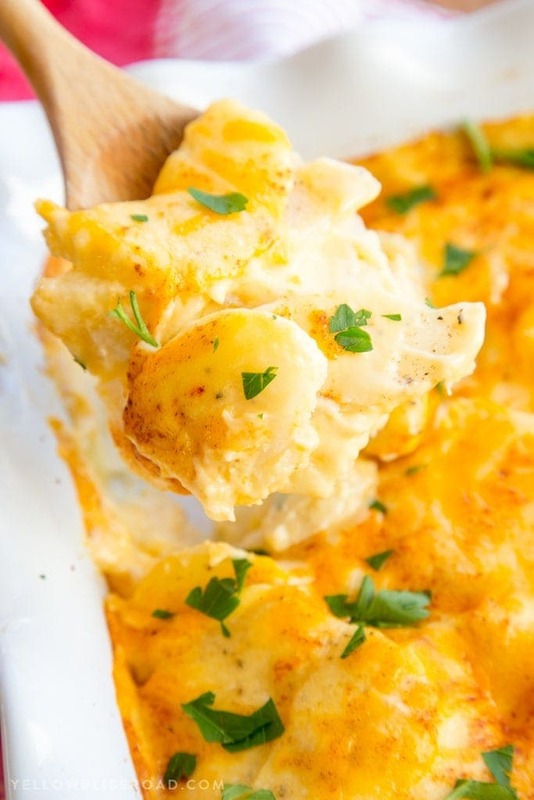 It’s similar to our family favorite Sour Cream Salad and it was even better than I imagined it! It also gave me a chance to try out my new Anolon 3 Quart Saute Pan! 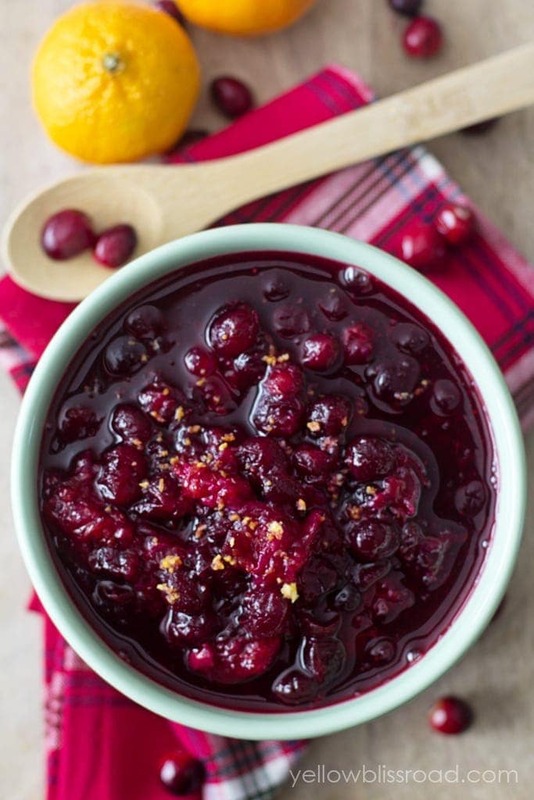 I love to make cranberry sauce from scratch, which is the base of this recipe. It’s basically, cranberries, sugar and a little water. So it gets pretty sticky in the pan, especially if you don’t soak it right away when you’re finished. That’s where this beautiful Anolon pan came in. The superior nonstick surface is durable and easy to clean. The sticky cranberry sauce literally just slid right out of the pan. The “Helper Handle” is great too, making it super easy to move the hot pan using both hands. 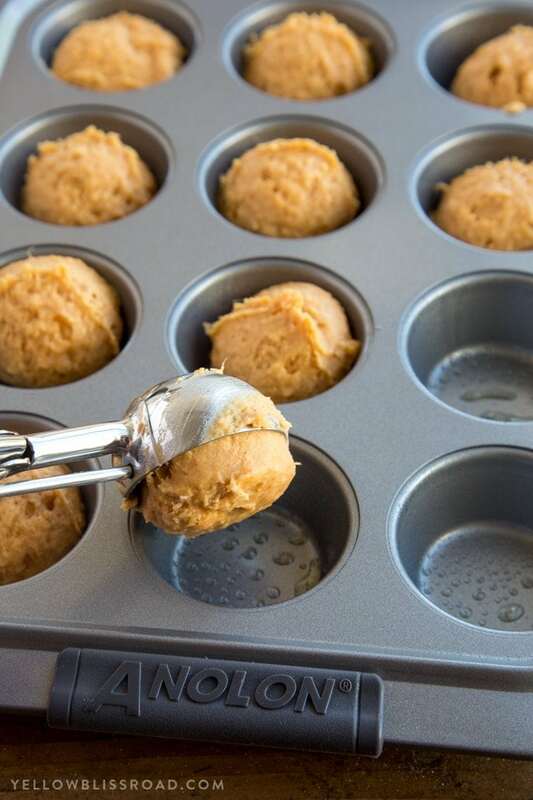 I also got to try out the 12-cup covered muffin pan (shown below – love those SureGrip™ handles! ), the 3.5 Quart Covered Straining Saucepan with Pour Spouts (love this one for pasta) and the 8″ French Skillet (Omelettes anyone??). I love them all, but the 3 quart Saute Pan is definitely my favorite – so versatile for when I’m really wanting to get creative in the kitchen! Learn more about the Anolon Cookware at Anolon.com or find Anolon at these national retailers: Macy’s, Bed Bath & Beyond, and Dillard’s. Be sure to also check out the Anolon “Holiday Hosting” Sweepstakes that and join in HERE. Heat a medium saute pan over medium heat. Add cranberries, granulated sugar and water. Bring to a boil, then reduce heat and simmer for about 10 minutes, or until berries begin to burst. 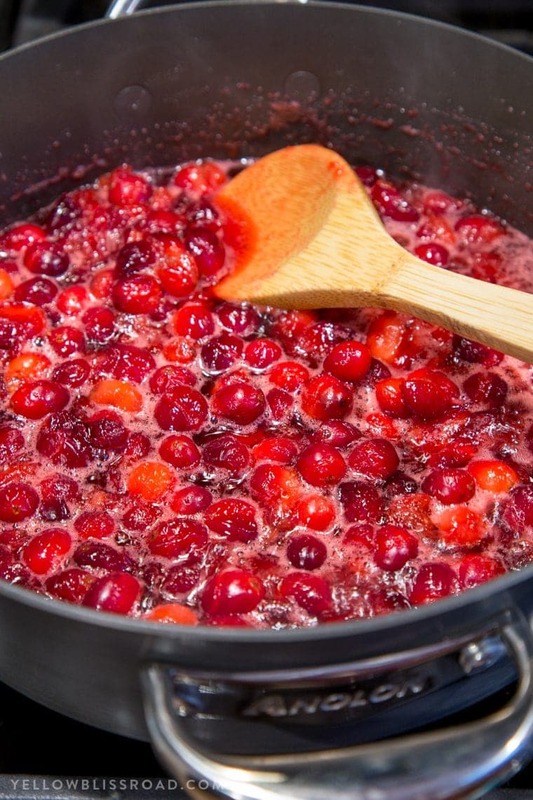 Remove from heat and pour cranberries into a bowl. Cover with plastic wrap and cool completely. Refrigerate until ready to use. In a large mixing bowl, gently fold chilled cranberry sauce and non-dairy whipped topping together (the cranberry sauce will be fairly solid; gently press with your spatula to break up). Fold in mandarin oranges, pineapple and mini marshmallows until coated. 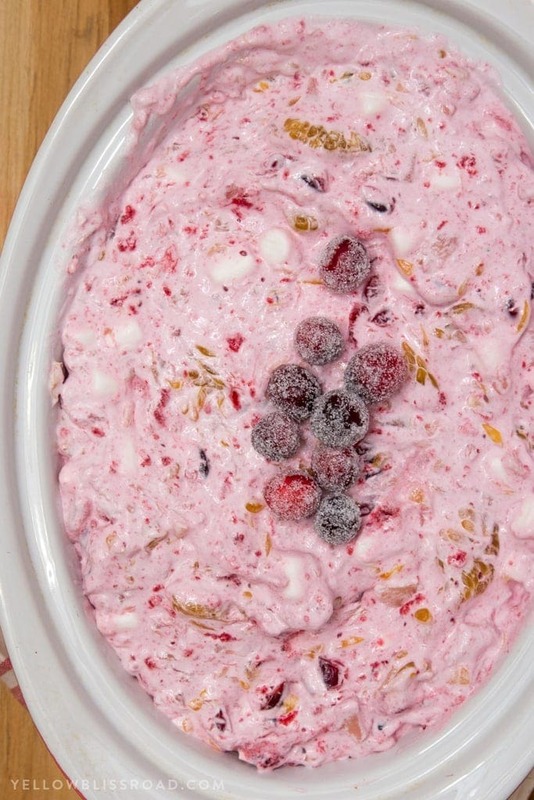 If desired, top with sugared cranberries. 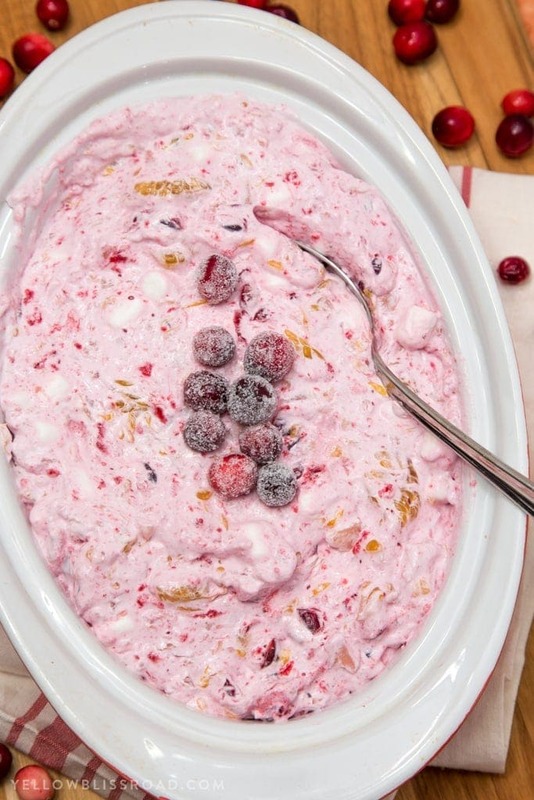 Simply roll some cranberries in granulated sugar and carefully place on top of the cranberry fluff salad. Made it today to make sure my family would like for Thanksging and it was so easy and everyone’s just loved it. Kristen u are my go to girl for recipes u are amazing with your cooking skills. Everything I’ve made from your site is always delicious. I believe I’ve tried like 7 main dishes and 2 desserts now! 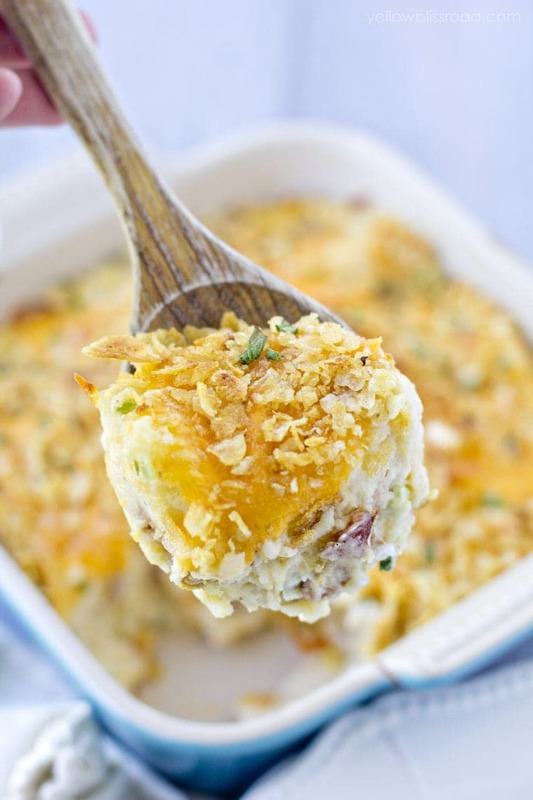 So happy that you and your family loved this recipe. 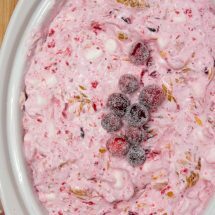 Hello,I just have a quick question on why you cooked your cranberries?Im making this on Thanksgiving and all the other recipes put the cranberries in a food processor.I just wanted to get your reason behind it.I think I’m cooking mine now since I found your recipe! For texture and flavor. Cranberries, even chopped up in the food processor are still extremely tart and not a very pleasant texture (to me at least). I prefer to use a homemade cranberry sauce. My mom has made this cranberry salad ever since I can remember (at least 40+ years). Now these days, I can appreciate the one other big plus this salad offers (besides it’s yummmmmy taste)…it’s best made early in the morning or even the day before you serve so the marshmallows get nice and soft. My mom would always make a very large container of this and we’d have it for a few more days with all the other leftovers! Oh ya…you can eat this all by itself for a dessert too;) Everyone needs to make the this a holiday tradition!